Find out how this BAUCE couple make both their relationship and career thrive – together. Imagine finding love twice in your life. 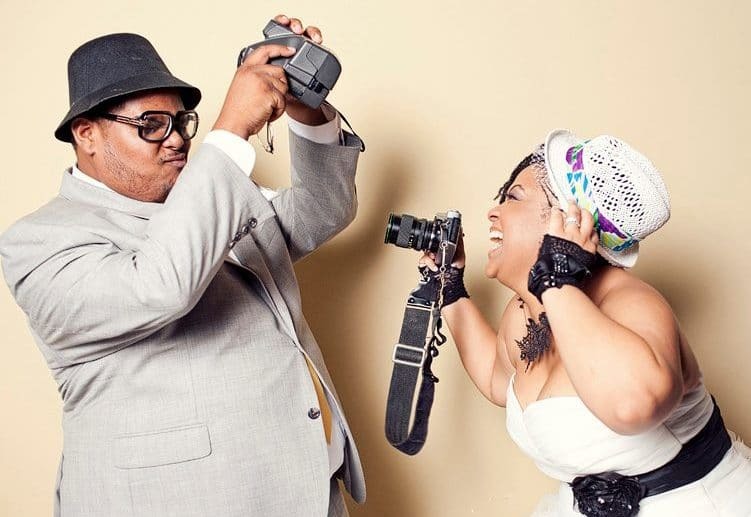 That’s the life for Regis and Kahran, husband and wife and creators of CreativeSoul Photography. Not only did they find love with each other, but they discovered a mutual love for photography. They created CreativeSoul Photography, a business that has allowed them to work with world-famous brands and to earn features in top magazines and TV shows. Although many couples who go into business fail, Regis and Kahran reveal what has made their business successful. In this interview with BAUCE, Kahran tells us how her and her husband have been able to successfully manage building a business together. Tell us one interesting fact about each of you that no one would guess. Kahran: Many people don’t know because we are always “on” for our clients to keep them comfortable, but we are both closet introverts. When sessions are wrapped we are much more likely to head back to our suburban neighborhood and visit a quiet family restaurant than hang out and mingle with a crowd. How did you guys meet? Which one of you came up with the idea for CreativeSoul Photography? Kahran: We both started out in the marketing and design world and fell in love with photography while dating cross-country long distance. We actually met in an online graphic designer forum at the time and would do photo dates while we were dating to explore new locations and take photos of each other. We decided to start CreativeSoul Photography together while Reg was in school studying photography. Kahran: We are inspired by so many things on a daily basis – fashion, movies, hairstyles and more. In terms of photographers, our favorite photographer of all time is Gordon Parks – he has so many iconic images that give viewers a glimpse into life during that period. What were the first steps you took to get your dream started? If you could do it all over again, what would you change? Kahran: We really just went for it. While Reg was still in school (and Kahran was still working in corporate America), we decided that it was a good time to start practicing our craft and learning the business. If we had to do it all over again, we would invest more in personal projects much earlier because they allow us to experiment and innovate. How did you know you “arrived”? What was your first commercial gig? Which gig was your favorite and why? Kahran: I’m not sure we will ever really feel that we’ve “arrived” because there is still so much more to do, but there were a few moments in our career that really helped to move our business forward — notably our “Roller Girls” shoot, our World Tour and our recent AfroArt series. How do you balance the two relationships: spouses and business partners? What are some things spouses should be cautious of when entering into business together? Kahran: We are one of those couples who do everything together. We enjoy being in each other’s company so we’ve always known that we wanted to start a business together. Our biggest advice for couples going into business together would be to identify each other’s strengths and weaknesses and find a way to utilize each other’s unique talents. It helps us to create our own areas of expertise in the business and separate tasks. What advice would you give to someone who wanted to go into photography? Kahran: Our advice to any new photographer would be to figure out what you love to photograph, practice often and create your own path. The photographers that are most successful have figured out their own unique strengths and talents. Want to keep up with this BAUCE couple? Follow them on Instagram. What Does The Word “Engagement” Meant To You?